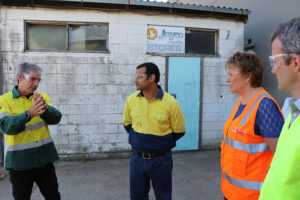 The ANZRP team were recently given the opportunity to take a tour of Toxfree’s e-waste recycling centre in Dandenong – a fascinating and insightful look at the day to day operations of one of our recycling partners. 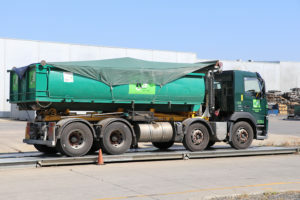 The team was able to see the whole process from arrival of a load, to weighing, unloading, several stages of sorting, dismantling of e-waste and packaging of components. 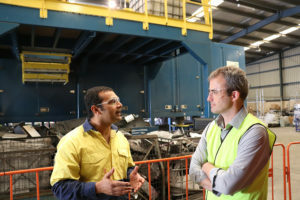 We also saw the BluBox in action – Toxfree’s state of the art e-waste processing technology, a 40ft container capable of shredding next generation e-waste, including flat panel displays, tablets and laptops. Perhaps most impressive is the volume of material the BluBox can process, the equivalent of 300 LCD displays per hour. A person disassembling might process just two in an hour. 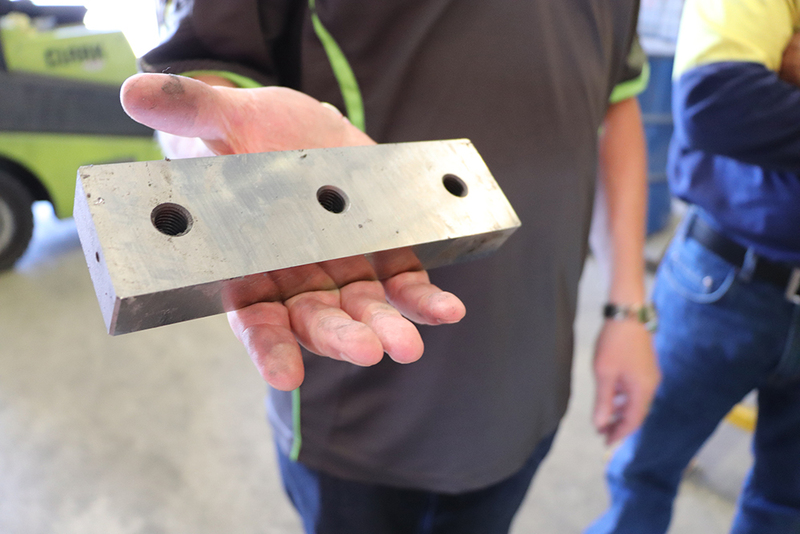 The technology also eliminates the risk of exposure to hazardous mercury by safely extracting mercury vapour and fluorescent dust. 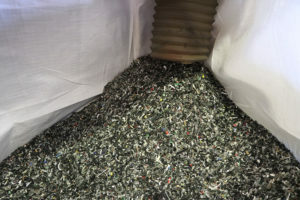 The team at Toxfree gave us insight into the downstream markets available for each of the components of e-waste, and shared with us some of the challenges they currently face, including the closure of South-East Asian borders to plastic waste. 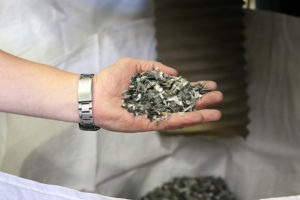 Seeing the e-waste receiving and recycling process first-hand was extremely helpful in understanding some of the finer details of running such an operation. This knowledge will go a long way in our planning and communication with all recyclers and collection sites. A big thanks to the team at Toxfree for providing so much information and giving us the time to have a look around the site.